Delivery robots and drones might be some solutions for businesses to reduce shipping costs and improve efficiency, especially in the final leg of a shipment, but at least in the case of drones, a more energy-efficient solution exists. The final leg, or final mile of a shipment, refers to the last part of a delivery of goods to the consumer. And, the portion of the shipment can account for 30% to 40% of the cost of transportation, according to an e-commerce logistics report by Armstrong & Associates Inc. Before e-commerce retail, the final mile was driven by the customer, but e-commerce retail has assumed an entire logistics step. And it’s a service the retailer often provides for free. Final mile has become a recent focus for Lowell-based carrier J.B. Hunt Transport Services, which recently completed a $100 million acquisition of New Jersey-based carrier Cory 1st Choice Home Delivery. In 2017, the carrier spent $136 million to buy Houston-based carrier Special Logistics Dedicated, and it was the first time in 26 years J.B. Hunt had acquired another company. The carriers were integrated with J.B. Hunt’s Final Mile division, a part of the company’s Dedicated Contract Services segment. In a recent presentation, Amy Moore, a transportation planning engineer with the Oak Ridge National Laboratory, explained that the combination of electric vehicles and parcel lockers would be more energy efficient than drones. Moore spoke to the Transportation Research Board about the efficiencies of parcel lockers and electric vehicles after studying UPS data from 21 delivery trucks in Columbus, Ohio, according to a Transport Topics article. UPS provided vehicle speeds, times and dates, fuel consumption data, coolant temperatures and engine speeds. The study was part of a Systems and Modeling for Accelerated Research in Transportation (SMART) Mobility initiative funded by the U.S. Department of Energy (DOE) and was completed by Oak Ridge National Laboratory, Idaho National Laboratory and the National Renewable Energy Laboratory, Moore said. It focused on the final mile, or last mile of a shipment, using electric trucks, vans, parcel lockers, drones and passenger vehicle deliveries to determine the energy-saving potential compared to a standard class 6 delivery truck. 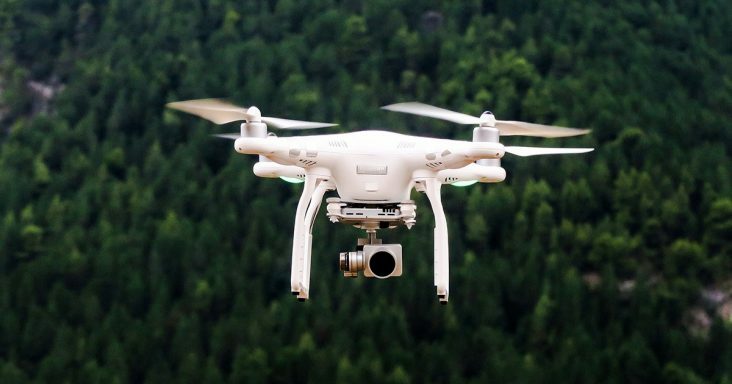 Drones saved 13% in energy, while parcel lockers in combination with the electric vehicles saved 88% in energy, according to the Transport Topics article. But the latter doesn’t include the customer energy needed to retrieve the package from the locker. In a related study funded by the DOE, the Oak Ridge and Idaho laboratories have been working with the Argonne National Laboratory to replicate the previous work in Chicago and also will incorporate delivery robots and improved drone scenarios. The new study, which started in October 2018 and is expected to have preliminary results in June, should be completed in September. Memphis-based carrier FedEx recently announced it has developed a robot to complete final-mile deliveries. The FedEx SameDay Bot is an autonomous robot that is expected to allow retailers to make same-day deliveries to consumers. FedEx will work with businesses such as AutoZone, Lowe’s, Pizza Hut, Target, Walgreens and Walmart on the deliveries, and it notes that more than 60% of consumers live within 3 miles of a store location. FedEx plans to start testing the robot this summer in Memphis and other cities, pending approval. Moore, who said she’s not a delivery robot expert, explained the potential for these robots, such as the SameDay Bot, to reduce energy in the final mile. Based on what she has read, they are cost-effective and energy-efficient, compared to other shipping modes. They are more efficient than electric vehicles, the costs are lower and the battery has a better range. But one must consider the size and the carrying capacity of the delivery robot, which cannot haul as much as a car. In order to make final-mile deliveries in a residential area, the robots would need to be transported to the area, and this would likely require a class 6 truck, possibly an electric one. The truck would need to stop to launch the robots and retrieve them after completing the deliveries. Based on Moore’s research, a typical delivery route has about 120 stops with about 200 packages of various sizes, she said. This would require about 10 robots to complete this route. She’s uncertain how many more packages might fit into the truck hauling the robots — likely not very many — but the driver could make deliveries while the robots complete theirs. “With all of this said, it seems that the [electric] truck and parcel locker combination would definitely be less time-consuming than the [electric] truck robot scenario,” said Moore, noting her skepticism on the robot successfully completing a delivery. She wondered what would happen if no one were home or if the package were delivered to the wrong person. While the technology is fairly new, Moore expects more data soon and expressed her interest for the outcome of the Chicago study involving the robots.